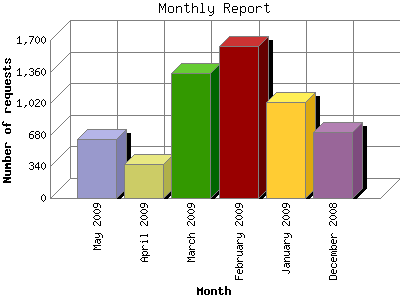 Most active month February 2009 : 589 pages sent. 1,631 requests handled. Monthly average: 373 pages sent. 954 requests handled.